Obtaining Laos visa on arrival is the most convenient, cheapest, and time saving way to get a Lao visa. Great for those who are tight on time, resources, energy and Lao embassies/consulates are too far to reach. 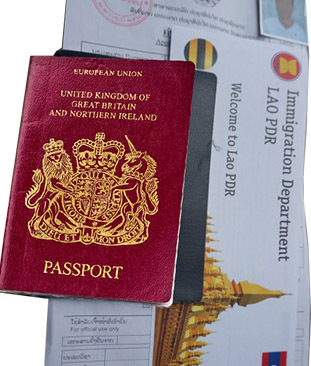 The visa obtained on arrival is usually tourist visa, the holder of this visa can stay in Laos for up to 30 days, and are prohibited from getting employment in Laos. As a matter of fact, other type of visas such as business and official visas can be picked up on arrival as well, provided that you have arranged everything ahead of time and you have a letter of approval (or an entry visa number) from Ministry of Foreign Affairs of Laos. 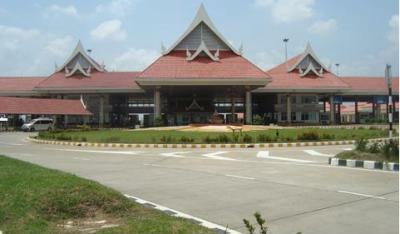 Savannakhet International Airport in Savannakhet Province. Dong Calor – Veun Kham, Cambodia to Champasack Province. Mohan – Botene , Yunnan to Luang Namtha Province. If you are unprepared like many of us (cannot provide the photo) there will be an extra fee (few dollars) for scanning your photograph from your passport, and placing it onto your visa application form. 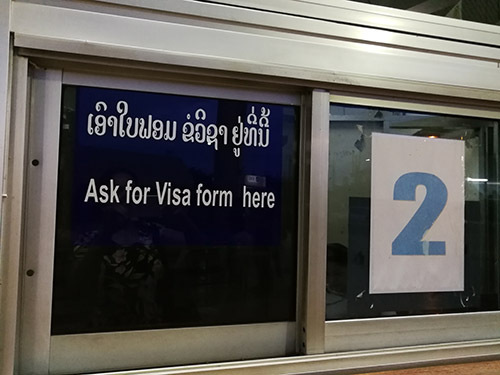 In most ports of entry including the Lao international border crossing points and Lao International Airports (Vientiane, Luang Prabang, Pakse and Savannakhet) the Laos visa on arrival window is located at the arrival channel (before or next to the immigration windows). The visa processing time varies between ports of entry. At major airports or at Lao-Thai Friendship Bridge in Vientiane it takes around 10-15 minutes. Delays are possible in late afternoons, weekends and public holidays at both visa window and immigration windows especially at the Lao-Thai Friendship Bridges. Please note that if you plan to arrive by bus through Lao-Thai Friendship Bridge in Vientiane Capital, and need to get Lao visa on arrival, you need to make sure with the bus driver that he will wait for you, otherwise you may end up having to find another transport to the city and pay another fee as the bus usually runs by schedule and sometime leaves behind the passengers who wait for their visa. If you cannot find your country on the list, you can assume it costs $US30 (Others), or otherwise your country may be in "not eligible" countries list. Note: On weekends, Lao public holidays, before 8am and after 4pm weekdays, there is a $1 over time fee. In addition an entry fee (2,500 Kip or so) may be charged. At Thai-Lao international border checkpoints Thai Baht may be accepted for Laos visa on arrival fee, I'd recommend paying your visa fee in US dollars to avoid loosing money through unfavorable exchange rates. Similarly, if you want to save a bit here and there when in Laos, it is better to pay in the currency quoted whether it is US dollars, Lao Kip or Thai Baht whenever possible to avoid converting from one currency to another. You might want to apply this strategy when paying your hotels, restaurant and shopping bills especially if it is a large sum of money. Who CAN get Laos Visas on Arrival? All foreigners intending to visit Laos as tourists, except for citizens of the countries listed under "Who CANNOT get Laos Visa on Arrival?" below. Who CANNOT get Laos Visas on Arrival? A special exception is given to officials travelling to Laos on official mission. Provided that you have an invitation letter from a host organisation in Laos and that you hold a guarantee letter provided by the Ministry of Foreign Affairs of Laos, you can pick up your Laos visa on arrival. It is however, advised that you consult with your Lao counterpart to get a clearer understanding or instructions to save you time and hassles. 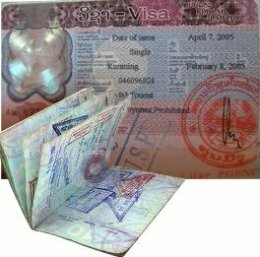 How can the citizens of the countries in the list get Lao visa? According to notice No. 1232 issued on 1 October 2009, issued by the Ministry of Foreign Affairs of Laos. If you are a passport holder of one of those 29 countries listed above, you can get Lao visa at Lao Embassies or Lao Consulates in your country or region. However, if there is no Lao embassy or consulate in your area, you may need to plan your travel route to pass through one of Laos' neighbor countries (Thailand, Cambodia, Vietnam, China or Myanmar), there are Lao embassies in these countries. You need at least two days there to sort your Lao visa out before heading to Laos.